www.speedfind.com/Paso has maps and directions that shows you nearby wineries and a variety of tasting trails you’ll love right from your phone or tablet. We use the latest technology to get you to your destination. If you are in-town your location will be picked up. If you are in the countryside it’s best to insert your location and the maps will identify the closest wineries, restaurants, hotels, breweries, cheese shops, coffee shops, olive oil tasting, etc. complete with mapping, directions, their distance from you, business hours, phone numbers, and links to their websites. If you lose connectivity the step-by-step directions will stay on your phone. You’ll find specially selected wineries with unique characteristics such as “Cool and Hip” and “Pretty Settings”. For people passing through the area we have a button for tasting rooms located “Downtown” or “Near Highway 101”. We will be adding more trails, so don’t be a stranger! Go to the winery you are visiting and click on their “Tasting Notes” button. Select the wine from their list and take your wine notes on your phone or tablet and send it to yourself and/or others. Note that the tasting note feature is currently limited to a handful of wineries. Let us know if you’d like a specific winery to include this feature! Paso Robles Wineries has a quick text message (SMS) option for each winery including prefilled messaging such as “Come meet us at Halter Ranch Winery” to which you can add additional text. You can also click a button to email your friends. 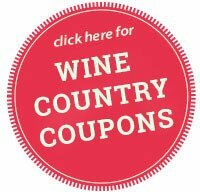 You can do this straight from each winery’s page, or scan and send a winery’s QR code to your friends. Our quick click and go will insure you won’t miss a social networking beat! Have feedback? Noticed a problem? Or just want to say hi? We appreciate any and all of your comments, any updates you might have or suggestions. 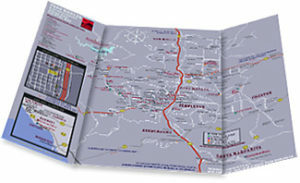 After all our Paso Robles Wineries’ Maps and Guide was designed for you! IMPORTANT! When out in the countryside, your mobile device identifies where you are when you are on the “actual street” or “entrance” to the winery, NOT when you are at a tasting room located away from the street. Accordingly, type in the address you are starting from on www.speedfind.com/Paso to receive accurate directions to your next destination. This is the best work around for GPS technology. For more info click here.